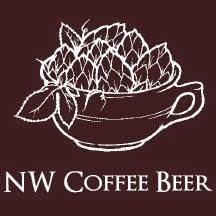 Its that time of year again for the NW Coffee Beer Invitational. Last years festival, was a well run, albeit cold, event with a lot of great coffee beers. The preliminary details are available below, for the most up to date beer information check on Twitter and Facebook. The NW Coffee Inviational is sponsored by Goose Hollow Inn, Ristretto Roasters, and Willamette Valley Hops. The Northwest’s two favorite brews are in the spotlight again for the 2nd NW Coffee Beer Invitational. Sixteen talented brewers were asked to create freshly-brewed beer made with locally-roasted coffee. With the emphasis on flavors, and an abv of 7% or less, this event promises to surprise us with both provocative and inspired combinations.